I, Sindhudurg Fort is a fortress which occupies a place in the Arabian Sea just the western coast of Maharashtra. I mainly lie in the shore of Malvan town in the Konkan region of Maharashtra. I am a protected monument. The word ‘Sindhu’ stands for Sea and the word ‘Durg’ stands for Fort. My historical period stated in 1656. I was constructed by Chhatrapati Shivaji, but the construction work was under the supervision of Hiroji Indulkar. Today I, Sindhudurg Fort is famous for Shivaji’s foot and palm print in the majestic fort. 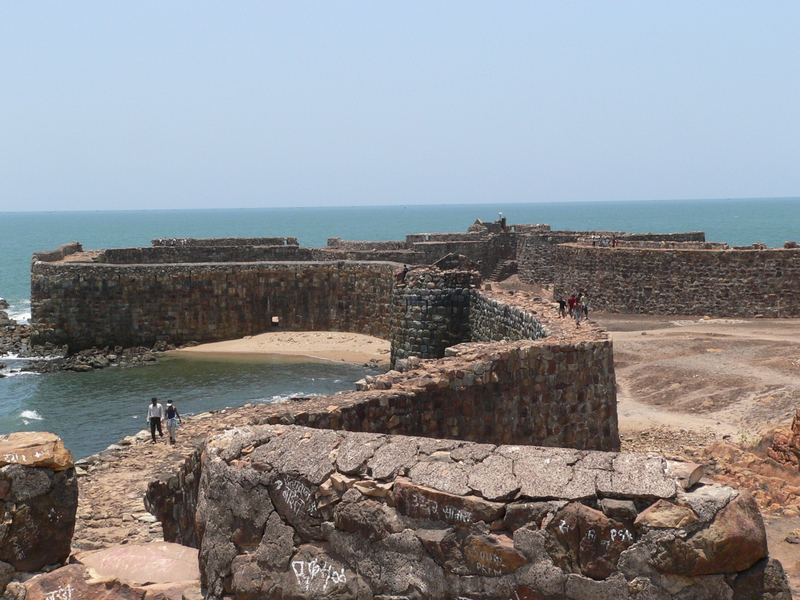 The majority of tourist and visitors visit Sindhudurg Fort every year. Being in the west coast of India, I am endowed with the magnificent seashore, beautiful mountains and natural beauty. In addition, I am famous for cashews, Alphonso mangoes, jamuns and so and so forth. There are many exciting and other interesting things to see in me when you visit for instance Shambhu Mahadev, Shivajeshwar, Bhavanimata and Jirimri and the best thing is that all these temples are in good condition. Though throughout the year I have good weather. But still if you want to enjoy my beauty then it is recommended to visit me in the months of August, September and October. I receive moderate rainfall throughout the year. It is quite simple and easy to reach me. You can always take air, bus or road. Though, I lies in the district of North Goa that is 490kms away from Mumbai. So you can easily get bus from Mangalore and Goa. I make sure to please all my guests in a charming way when they visit me. The large rocks of Kurte Island were used to build me and its unique design attests to Chhatrapati’s strategic power. Maharaja Shivaji wanted to keep me hidden from the naval forces of his enemies. Hence, I was built in a zigzag fashion. This pattern hides my enormity from the approaching force. I helped King Shivaji control the aggression of Siddis of Murud-Janjira. I have 42 bastions. It stands tall with a height of 30 feet. My historical significance and beautiful construction has turned it into an attraction for global tourists. hello friends, this is the first time I have find such a beautiful article about Sindhudurg Fort, I bet the Admin has great knowledge about the history of Shivaji Maharaj.